Showing results for tags 'gtr'. Alrighty guys, So i've had a number of skylines over the last 5 years, since getting my first one in 2014. A number of R33 drift cars, a R32 drift car in japan @ ebisu circuit (for sale atm if anyone is keen :D), my original green 32 which I've built up over the last 5 years to a 500hp rb25 neo street weapon (this is also for sale...) With the rising prices of GTR's these last few years..I thought I would never be able to afford a proper GTR without selling everything I own haha. I recently came across someone with a bare non rolling R32 GTR shell which luckily had not been posted for sale online. Luckily over the years, I have amassed quite a number of GTR body parts. The plan is to pretty well fully rebuild the car with as much new items as possible (while not going crazy over the top). This will take me a long time, but I hope to keep these page updated (unlike my first build post haha). For Sale: 1999 Nissan Skyline R34 GTR Vspec Location: Central Coast, NSW Price: $110,000 The car has roughly 94,000kms on chassis and roughly 30,000km on the engine (was replaced by previous owner before I purchased car) I have auction records and de registration papers from Japan, it was auction grade 4.5 with 52,000km on the nismo odometer. I've owned the car for 10 years and only had to service and replace turbo's and the radiator, everything else was done by previous owner aside from wheels and bonnet which I changed. The car runs 330kw's at the wheels on 21 psi and 300kw's at the wheels on 18psi - running on just premium 98 octane fuel Recently has had paint correction and detail performed by Leading Edge Detailing in Silverwater and shows how good of condition the paint work is still in and the car in general. The car has rego till September this year and also is engineered. Here is spec list, there could be more that I have missed: N1 Engine Garrett 2860 Twin turbo setup Tomei metal head gasket kit Exedy Twin Plate Sard 700cc injectors Tomei cams and camgear Tomei exhaust manifold Hks 3.5” front pipe Fujisubo 3.5” cat Fujisubo 3.5” cat back Apexi PFC Apexi power intake z32 airflow meters Arc intercooler Carbon air box cover Greddy piping kit Koyo type Z radiator Hks evc5 boost controller Tein monoflex coilovers with edfc Nismo fuel pump Nismo fuel regulator Nismo 320km dash cluster Nismo LMGT4's with Federal RSR Semi Slick Tyres Dba 5000 brake discs Project Mu club racer pads on front Bendix ultimates on rear. Border Carbon Fibre Bonnet painted white but also have original bonnet which can be included in sale depending on price. 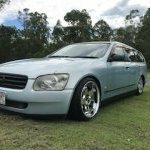 Car is also listed for sale on carsales: https://www.carsales.com.au/cars/details/1999-nissan-skyline-gt-r-v-spec-bnr34-manual-4wd/SSE-AD-6047005/ PS Couldn't use the photo attachments they kept failing after 4 photos. Please see Carsales ad for all the photos. Hi Guys, Doing a bit of a garage clean out and have a few things for sale. Will probably add stuff as i go along and find more, but here is what i have at the moment: Bosch Motorsport top feed 1000cc injectors. Used only for 5000kms with 98 $500 R32 GTR OEM BOV return pipe (used) $150 R32 GTR OEM front sway bar (used) $100 R32 GTR OEM aircon ducting (used). Every bit of plastic ducting from under the carpet and dash, except the one that goes to the drivers side vent $50 R32 GTR OEM Twin Turbo pipe (used) $100 R32 GTR OEM coil packs (used) $50 Ruzic II 4WD controller (used) $500 R32 carbon boot lid with carbon N1 lip and genuine R35 GTR badge. Boot lid has crazing all through the clear/resin, N1 lip is perfect, so is the badge. $500 R32 GTR series 2 textured center console surround in mint condition with lighter (used) $500 R32 GTR series 2 textured center console surround with a crack at the very bottom next to gear boot, and one broken tab at the very top $100 Sparco Sprint V fixed back seats. Pair, no rails. Very little use, some marks from storage but no tears. $500 Open to offers within reason. Items are located just south of Wollongong. Willing to post smaller items at buyers expense, larger items like ducting, seats and boot lid prefer pick up. There will be more to come as I get through everything. I will upload pics when I get a chance. Looking to sell my Hypertune plenum and 102mm throttle body to suit RB26 as it is surplus to my needs. Has been used for less than 1000km so is in almost new condition. Looking for $2500 or will swap for R34 GTT front brakes + $2100. Hi Guys, It's been a while, I am a Kiwi who moved over to Japan a few years back and have settled in Tokyo. I have always loved the R32, have owned a couple of GTST's before and since I am in Japan now, decided to go for gold and score the best possible BNR32 I can get my hands on. The car arrived on a truck a few days back and gotta say, as it is my dream car, no words can explain my joy at the moment, Nismo and Nissan have been on the ball resupplying the parts for the R32, and I have no shortage of parts supply if something needs attention for now... I guess that is one of the advantages of living here, During the whole purchasing ordeal, there has been a lot of processes involved and Japan in my opinion, has their way of doing things, so no let's wing it attitude sits in well with these folks lol. It took a couple of weeks to get the Japanese version of WOF called "Shaken" but overall, besides the RIDICULOUS parking costs, all was pretty smooth. I miss NZ where you can just park on your own driveway, In Tokyo, you will be doing well if you find one below $300 per month. Now Let's Talk about the car, Pretty standard, nothing in the engines has been touched, currently tuned to 380ps. Model 1991 Skyline GTR R32 BNR32 Milage: 47000km Engine: Stock Turbo: Twin HKS 2510, HKS turbine outlet Cooling: ARC intercooler, HKS IC piping kit, Intake: ARC Super Induction box Exhaust: Apex front pipe, Apex RS muffler, Suspension / Drivetrain: HKS reinforced clutch (I think it's a twin push type early model, absolute B**itch to drive in in traffic, real narrow biting point and very sensitive), Ohlins suspension, Tein pillow ball tension rod Brakes: Winmax brake pads Electrical: HKS EVC5, Tomei Speedometer, Trust gauges in the glovebox, Defi Boost gauge on Steering wheel column Will provide pics soon Interior: Nismo seat covers, Italvolanti steering wheel Wheel: Volkracing CE28N 8.5X17 +22 , Tires: Dunlop Direzza Z3 255-40-17 I may have missed something but this is the current status of the car. I don't plan to go tracking but want to escape the city on the weekends to explore the less populated areas of Japan, I will probably be on the sensible side when it comes to driving on foreign lands. I absolutely love the car after taking it out on the highway, it was an absolute pleasure to dive, the sound, the pull everything was better than I hoped. I should be posting the slight issue on another section but as I have your attention, I wished to ask you guys quickly. On the way back, from the very awesome drive, some car far ahead had an accident in the tunnel and I ended up being stuck in heavy traffic, I have a clutch setup which seems to be one of the worst most sensitive (only on 1st year, either from standstill, or rolling very slowly), unforgiving setups I have ever driven, NOT fun stuck in traffic jam for an hour, If you guys have any suggestions for a street usable/friendly clutch ideas, please feel free to let me now, something that does not give you a dead leg even if you are stuck behind traffic, and something that allows a smoother start on 1st gear, right now, I have to give it gas about 2-3000rpm and release the clutch very very gently or the ting just tries to launch and hop etc. I have heard the Nismo twin plate? ones were good, but not sure it will be better than my old HKS setup and in what way, my one feels very sensitive (narrow biting point if that makes sense) they can be a pain to drive in traffic etc.. Anyways, Thank you for reading my post and I wish to catch up with any GTR owners based in Tokyo! hit me up if you are around. Steve's R33 LM Limited Upkeep Hi all, I've been stalking these pages for a quite a long time now. Thought i should throw my car up for everyone to look at. Some of you will be familiar with this car already as I purchased it from Gav in Perth. Gav had this car built by Glavsport and it has been a no expense spared build. With that in mind I too have decided to buy things once and any changes that go onto the car will be the highest quality I can reasonably manage. You may be aware that my start with this car was somewhat turbulent as someone tried to steal it from me on the first day I drove it. (See link: Steve's Intro ). Since then I have hidden the car away under lock and key (and other security measures). The car has just returned to me now from Racepace in Bayswater. We (well, not really we, more the guys at Racepace) made some changes to my car, repaired the damage from the break in and installed a new immobiliser and tracker. It's nice to have the car back in one piece and using a key to start it, rather than any flat item jammed into what was left of the ignition. One of the biggest issues I was having was fumes coming into the cabin from under the bonnet/car. It turned out to be a twofold issue. 1. The exhaust was pinched and suffering from E85 damage (it was a 3" mild steel exhaust) 2. The oil catch can breather may have been letting fumes into the air vents for inside the car. The guys at Racepace have fabricated and installed a brand new 3.5" exhaust with V-Bands and tuned length headers to solve the exhaust problems and they also rerouted the catch can fumes into the rear turbo so they are expelled through the exhaust. With the new exhaust it was necessary to re-tune the car on the dyno so this was also completed. As someone who doesn't get to drive fast cars much, millions of kWs were deemed unnecessary. I asked the guys specifically if they could turn the engine down to a level it will be happy to perform at for a long, long time. In tuning the car the guys turned the engine up to what they deemed a reasonable level, then turned it back down as I requested. The net result of the tuning was: Full power: 505.4kW (atw) at 27psi Final Tune: 410kW (atw) at 22psi I've also got some pictures of the exhaust going in and a dyno run video coming soon. New project- R32 GTR with VK56DE ? Hey I’m new here so I apologise if this is the wrong section upfront. i am considering new project cars and was thinking about building a V8 R32 GTR and wanted to ask if anyone has done it while retaining ATESSA and what engines? If I do it I’d want to retain an Nissan engine and I can’t go past the potential of the VK56 based on performance and available parts etc from the US and as I know that the VH45 will fit I was wondering if anyone had or knows of anyone doing or mocking up a 56DE in a 32 GTR? The aim of the car would be to a fast a street car as possible which I will use in drag, roll and top speed racing events. I am aware of the custom fab work needed and am mainly trying to work out first if the engine will fit along with a nice twin turbo setup along the lines of twin 6466 or 6870s. Thanks in advance!! Hello all, If anyone was following my previous build thread I had an R34 GTT [FR34K] that I wrote off. I decided it was probably my only chance to get into the GTR scene. After searching for a while I found a member on here selling a beautiful white R33 GTR V-spec with an N1 engine. My goals for this car are just to be a weekend cruiser, occasionally heading down to the drags to see what it can do. If I could run a 10 second pass on the H pattern gearbox I would be exstatic, and I think somewhere in the vicinity of 800awhp would be more than enough as a max power figure. Car already has -7 turbos, poncams and a power FC with supporting mods, making a respectable 420awhp. It has HKS coilovers, Project mu rotors and gold BBS rims, with a lovely Jun style carbon lip. Immediate thoughts of this car (coming from a 485whp GTT) are: it's really fast. The GT35R on my R34, although made nice power, was quite laggy in comparison to the -7s. They feel like they have no lag, and the car doesn't have any problems whatsoever putting the power to the ground. I find myself looking down at the speedo after planting my foot and being blown away about how fast I'm going. The gear ratios help play a part in that as well, although aggressive, are still fantastic when just cruising. The suspension is very stiff - too stiff for me (it's something I will be changing very soon) but it handles superbly. After landing in WA, I took the car to a licencing centre to get it inspected. The list consisted of some minor things like globes and removing of tint. Nothing major - the hardest thing was child restraints which I borrowed out of a wrecked r33. Yesterday I passed my final inspection and picked up my custom plates. Hello everyone! 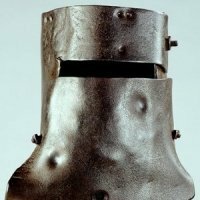 i know I’m new to the site but I need some help. I dropped my differential to get to the atessa and found the leak at the wiring of the pressure sensor/switch. does Anyone know if this is a sensor or a switch? If a sensor, has anyone tried switch it with an oil pressure sensor or anything that might work as a replacement? i can’t find a replacement and looking at nissans parts catalog and countless researching I don’t think you can buy it separately. I also had no luck on researching suitable replacements. Catch Can to suit R33 or R34 GTR Custom made washer bottle and catch can to suit R33 and R34 GTR. Internally baffled, 2x -12 inlets, 1x -12 outlet, dedicated tap for easy draining, powder coated in wrinkle black. Issue is that the holes for the washer motors were not cleanly cut and do leak a little. These can be sealed quite easily though. $350 located in Sydney, can ship. Mohsen finally bought a GTR. Mohsen finally bought a GTR. So, as some of you know, I had built a pretty stout little r32 sedan, that had been riddled with problems, four years in, The veneer had worn off, and I had kind of lost the will to continue with it, I had toyed with the idea of putting it away for a while, to put it short, I grew to hate it. a few weeks ago, while searching for some parts to buy before the Americans made them insanely expensive, and stripping mine down to store etc, I had come across an R32 GTR shell, most of it was there, but it had a pretty serious front hit. a bit of chit chat with the owner and I now own a TH1 dark blue pearl R32 GTR I freighted the old girl from Brisbane and here she is! The damagage is quite severe, but I have the running gear and all the repair parts needed so it was a no brainer! more soon! Hi Gents, Its been sometime since I have been on the forums and I've had to create a new account because I have changed emails!Well the time has come for me to selling my R33 GTR V-spec. It's a series 3 model, which is the highly sort after model being the last full year of production for the GTR. NOTES:I have priced this considering; Revs check indicates that the car has written off status reported due to storm damage, which I am from the understanding it had occurred during the Perth hail hail storm. Not sure because I didn't own the car then.. there is no signs of hail damage to any panels and it has been repaired. Yes the car is registered, still licensed and insurable. It's not an accident write off, it's been recorded as storm/other. The car is in good condition and registered. Its licensed No money owing on the car. Factory Series 3 Xenon headlamps Factory Series 3 interior in great condition Factory steering wheel Nismo gear shifter Nismo floor mats Nismo 300km/h cluster Stock RB26DETT Stock 5 speed gearbox Factory Brembo Brakes Factory Xenon Headlights Genuine Nissan Engine Coil Cover Ornament Koyo Radiator Twin Garrett Turbos - 7071605005S / GT2860r-5s on stock manifold Apexi Stainless steel cat-back system. Trust front pipes Stainless steel dump pipes Twin Apexi Air Filters 100mm intercooler Spitfire coilpacks Platinum Pro ECU HKS EVC Unit Apexi Turbo Timer Do-Luck Tarzan Gbox Controller for g sensor Kenwood cd / usb / bluetooth head unit Pioneer A1606C speakers in front. Alpine SPR-60C speakers in rear Alpine Type R Sub Alpine MRP-M450 mono block Amp Sound deadener install to doors, rear panels and boot area. Carbon Fibre Rear Wing 18" ENKEI RPF1 Matte Black 10.5" rims with 285 road tyres on all four rims. Bilstein Adjustable Suspension Slotted and drilled rotors to front and slotted rotors to the rear. Comes with Japanese deregistration paperwork. Runs great, makes approx 350awhp at 15psi. Good condition for age. Car is listed else where. Bad Points The car has had hail damage to the left hand side and paper notes its a write off, hence why its priced accordingly. Air conditioning needs fixing, have a spare compressor. 1x small rust scab at passage rear quarter near the side window. Small out dent on drivers door. Jacking points slight creased on one side. Trust front pipe is dented. Few nicks here and there but still presents itself well for the age. Asking Price: $35,000 AUD. Location: Perth WA NOT PARTING / NO DREAMERS / TEST PILOTS... AS I WILL BE DOING THE DRIVING - CAR IS IN STORAGE!